STOP PRESS!!!!!!!!!!!!!! We have an APP that you can download to get push notifications. This is particularly for parents of our pupils. 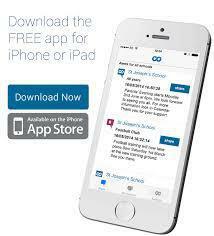 On your smartphone or tablet, search in the appstore for a free app called SCHOOP. When you open it for the first time, it will ask you for a Schoop ID. Put in 2330 and you will be away!!!! You can then choose which "channels" you want to subscribe to. I suggest that you pick "whole school" and then also the channel for the class your child is in. I will be updating it for now, but once the school has opened some of the other staff will do too and it will help you to stay up to date with what is happening. It is really exciting! Download it TODAY!!!!!!!!!!!!! !